A Special Valentine’s Day screening – Thursday February 14th at 6:30pm! When Elinor Dashwood’s (Emma Thompson) father dies, her family’s finances are crippled. 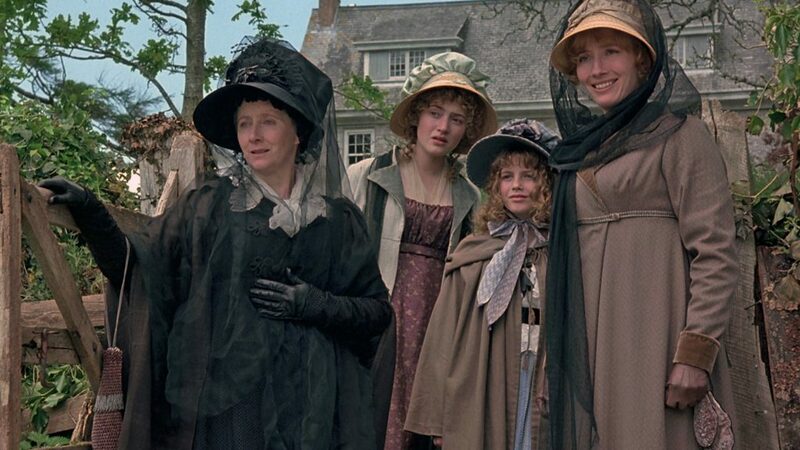 After the Dashwoods move to a cottage in Devonshire, Elinor’s sister Marianne (Kate Winslet) is torn between the handsome John Willoughby (Greg Wise) and the older Colonel Brandon (Alan Rickman). Meanwhile, Elinor’s romantic hopes with Edward Ferrars (Hugh Grant) are hindered due to his prior engagement. Both Elinor and Marianne strive for love while the circumstances in their lives constantly change. Oscar winner: Best Adapted Screenplay! Plus, 6 other nominations: Best Picture, Actress (Emma Thompson), Supporting Actress (Kate Winslet), Cinematography, Production Design, and Original Score!